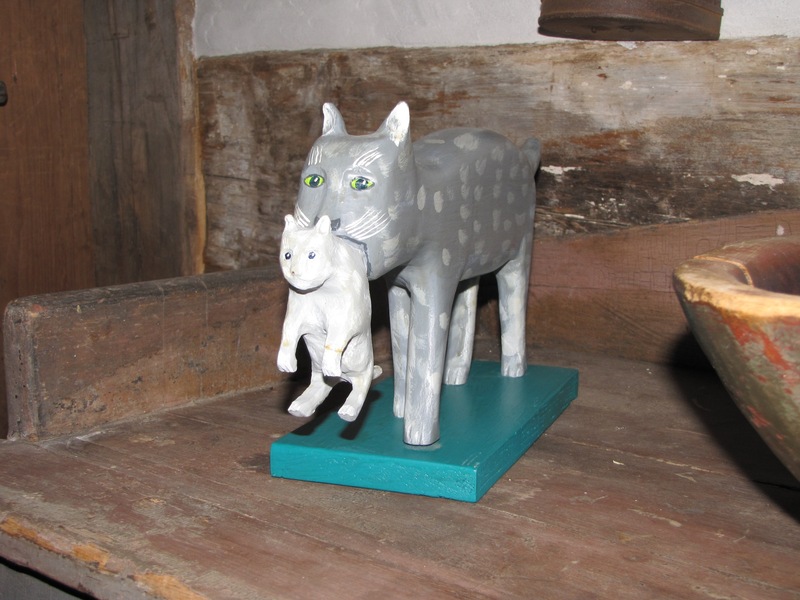 A folk art carving of a cat holding a kitten by Ian Fancy. Fancy lives in Springhill, Nova Scotia. 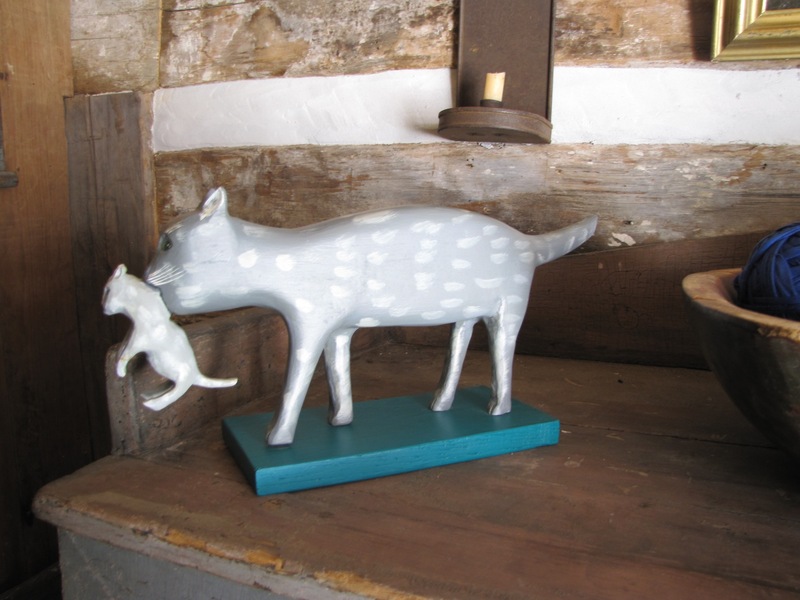 He began carving folk art in 1994. His work can be found in several galleries and homes across Canada, the UK and Europe. This piece is signed and dated Apr '01. Overall length is 16" and height 7 1/2".